Rawfiend's Blog Raw foods are the life force we all need. This is my journey. Say hello to my new addiction. 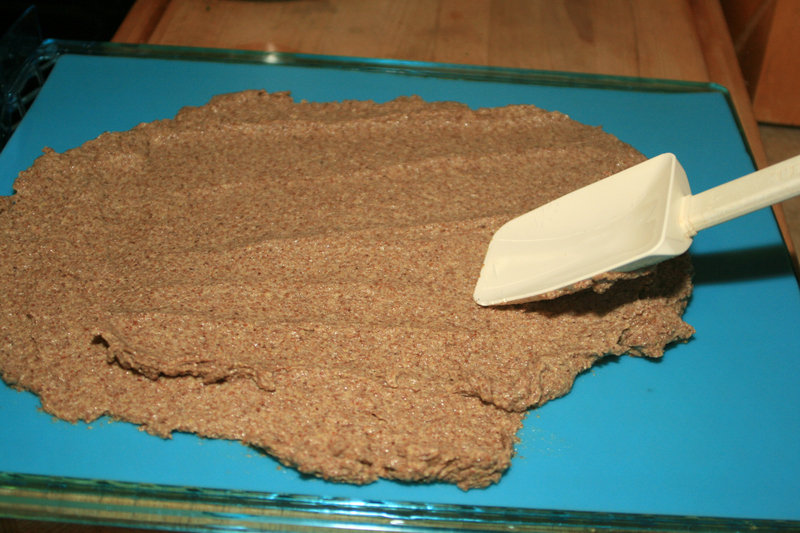 Flax crackers! They really hit the spot when you need something hearty to munch on. Nutty and delicious. 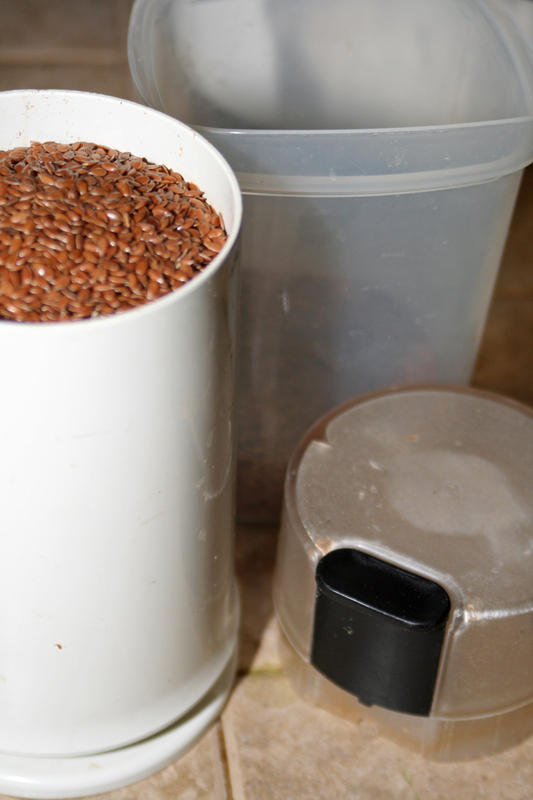 Grind the flax seeds in a coffee grinder or high speed blender until it is a meal consistency. This should only take about a minute. 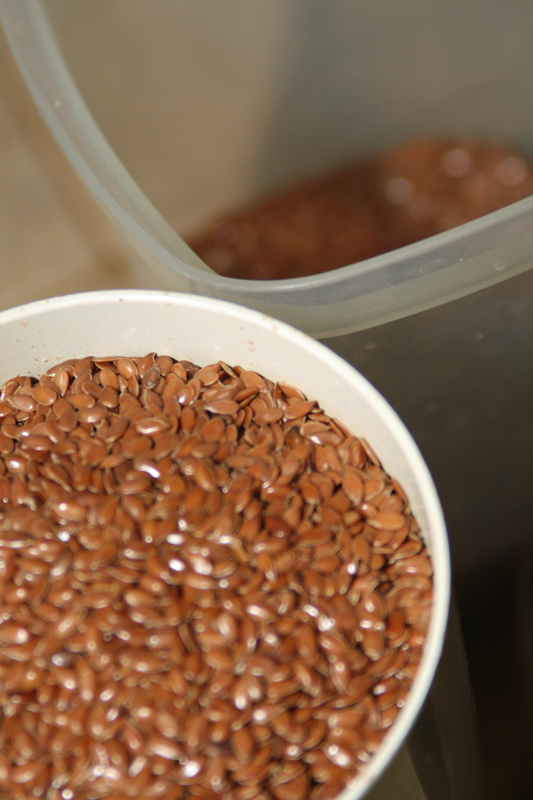 The flax seeds should look like this after they are ground. Next, mix in salt, garlic powder and onion powder. Then mix in water. 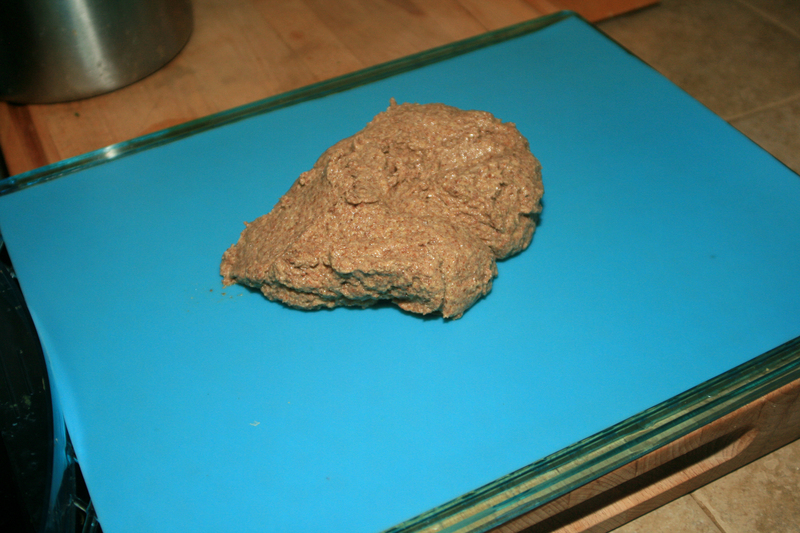 The flax seed mixture will become gelatinous and will be able to keep it’s shape. Place mixture onto a telflex sheet (or silicone sheet in my case). 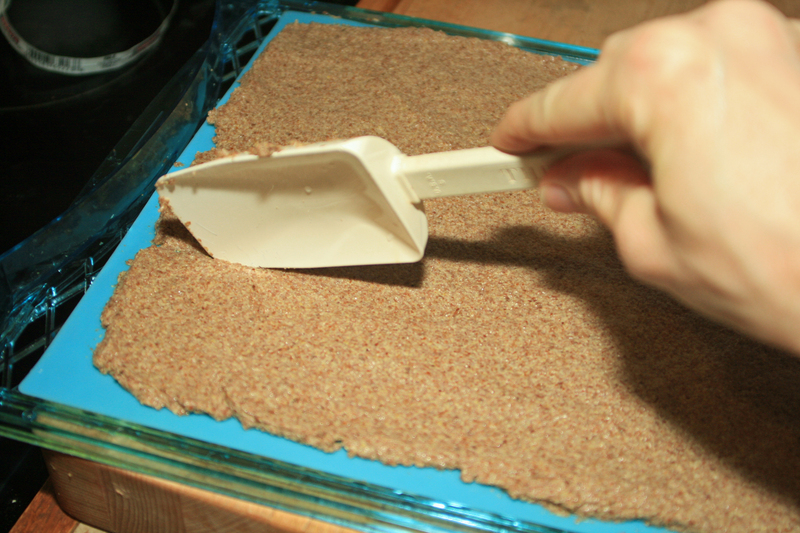 Spread mixture evenly across sheet with a rubber spatula. Once it is evenly spread out, take the edge of the spatula and run it through the mixture to create cracker sized pieces. Pop this in the dehydrator at 105 degrees for 12 hours, then flip the crackers over and dehydrate for another 4-6 hours until they are crispy. I prefer to keep them soft in the center so I only dehydrate them for 4 hours on the second side. I am addicted to them topped with this fantastic Macadamia Cheese Recipe, compliments of the great Karen Knowler. Another suggestion is to spread mashed avocados on them., but I haven’t been able to get past the cheese recipe. As we get deeper into the winter months the abundance of fresh fruit begins to dwindle and the choices become more limited. Do not fret my dear friend, for there is an abundance of other fresh goods that await you. Things like oranges, tangerines, cuties (my favorite orange variety), grapefruits, squashes, a wider variety of cool weather greens, pomegranate (my all time favorite!!!) and above all, the wonderful, versatile and nutrient rich apple. There are so many good things about the apple. To read some interesting facts click –> HERE. To read all about apples (literally), click –> HERE. Now that you’ve read all about how great apples are for you, it’s time to figure out what to do with them all once you bring home. My favorite use for them is to add them as a base for my morning green smoothies and in fact, I use quite a lot this way. My latest dilemma though came to me after I juiced a few of the apples and was left with a moist and chunky pulp. I have since discovered that if you were to add some of the apple juice back into the pulp it makes a quick, easy and delicious apple sauce but since the juice was gone before I knew it, I was left with a pile of pulp that screamed “Don’t just stand there, do something with me!” So, I threw it in a bag and put it in the fridge to let my ideas marinate for a bit. One day later, I have the answer. I shall make crackers with it! Mix all ingredients together in a bowl. 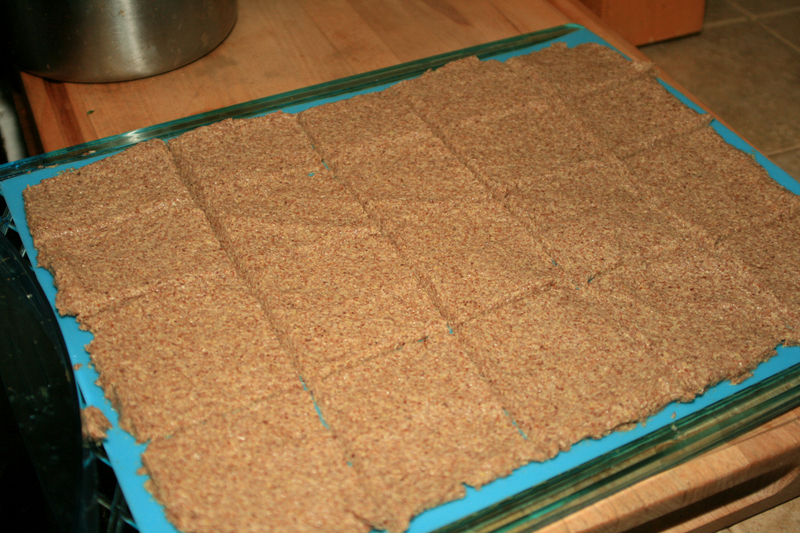 Spread on teflex dehydrator sheets, making desired sized cracker shapes. Dehydrate at 110 degrees for 4-6 hours. 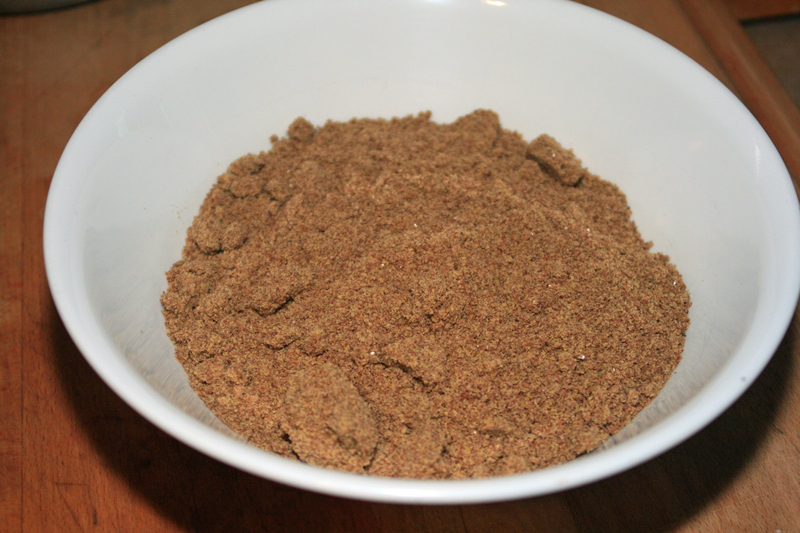 Turn the mixture over and dehydrate another 3-4 hours. Fourth Generation First Year Teacher. These are my adventures along the journey. MY MISSION STATEMENT: My hope is to create similarity in the things that alienate us from one another. Judgement is an Enemy. Love yourself. Let the healling take place in your life and the lives of others. RAW! RAW! RAW! THAT'S THE SPIRIT!